We love to walk. 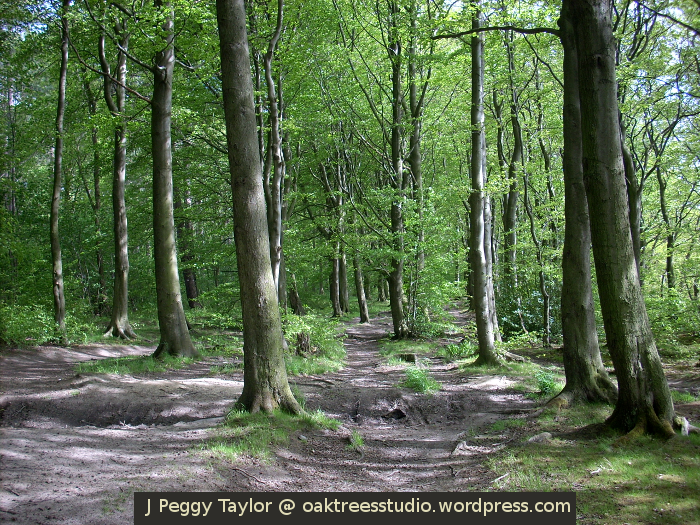 Our favourite walks take us on modern multi-user routes, along coastal paths and old railways, but we also love to scramble along leafy, muddy woodland tracks in our own local woods. 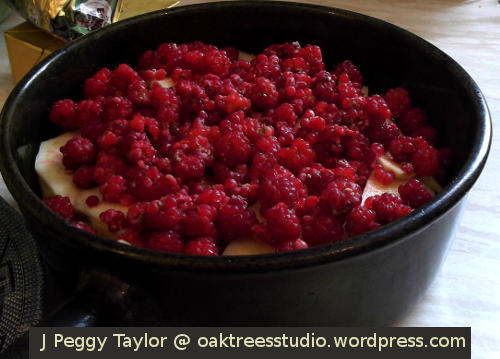 For Cee’s Fun Foto Challenge this week, we are sharing walks, both indoors and out. 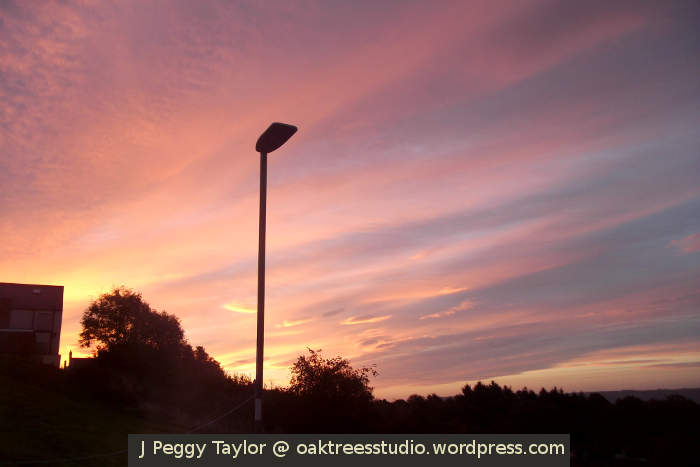 All of the photos I have chosen, feature places we love to walk. 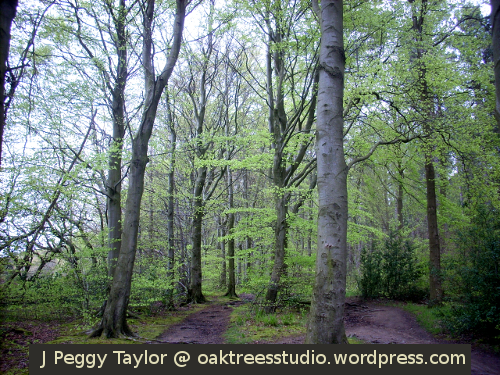 My header shot is of our beautiful local beechwoods. We know and love this path in all seasons and all weathers. 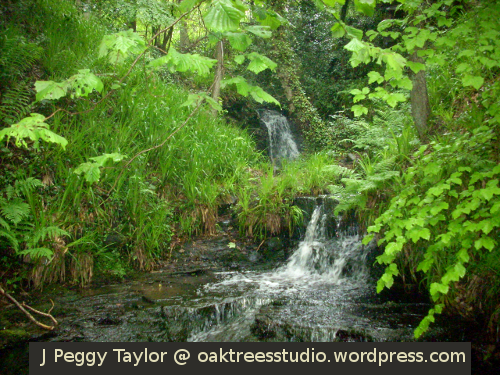 Its surface can be dry and sandy or distinctly soggy, with deep puddles and rivulets cascading between the tree roots. Its popularity with cyclists in recent years has prompted the addition of limestone gravel to some parts of the path to keep it passable in wet conditions. I thought I add one indoor walk for this challenge. Sunderland Winter Gardens are like a little oasis in the heart of the city centre. This high level aerial walkway is a wonderful vantage point from which to view the impressive tropical plants in the Winter Gardens. For Cee’s Fun Foto Challenge last week, I showed you the fountains you can see both inside and out at Sunderland’s miniature-tropical-rainforest-in-a-giant-greenhouse. At least once every Summer, we head out to the North East coast and walk along South Shields Leas to Souter Lighthouse or walk the Whitburn Coastal Path. Both of these paths are maintained by the National Trust along this beautiful and fascinating – but also the most dangerous – stretch of England’s coast. When we aren’t walking coastal paths, we love to walk along old railways. Here in North East England, we have many old railway tracks that have been turned into a connected set of footpaths. Here we’re walking through one of the old stations that stood along the Derwent Valley Railway which carried passengers and freight through our leafy green valley last century when coal mines and steel furnaces were the main employers. You can see the train platforms on either side of the track. My son had evidently found something interesting and had climbed up onto the platform from where passengers would have travelled northbound through to Newcastle. This footpath is now known as the Derwent Walk, a multi-user route that forms part of the C2C long-distance cycle route, and which links up to the Waskerley Way, below. The Waskerley Way railway path takes us out over the heather moors and is another favourite walk of ours in Summer when the purple heather blooms. I love walking this path but you have to go prepared – this is real moorland and the weather can change suddenly. A warm Summer’s day in our valley can mean a cool and brisk breeze on the moor and passing showers envelop you – you literally have your head in the cloud! Warm clothing and waterproofs are definitely a good plan. Not all of our favourite walks are on wide and well-defined footpaths. 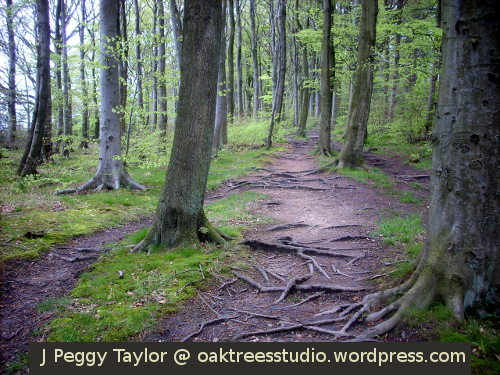 We also love leafy woodland tracks. A few years ago we built a camp entirely from natural materials and there I taught the boys to cook outdoors over a small wood fire. 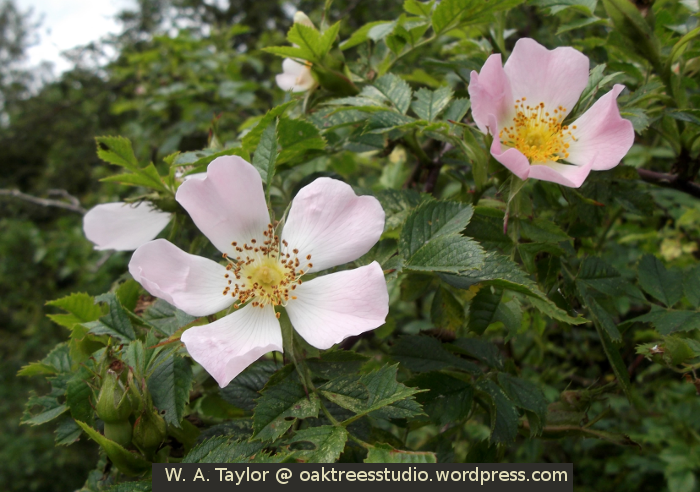 The camp was deep in the woods, so the walk to reach it required a bit of scrambling through brambles and steep-sided streams. Here we are taking the narrow track along the top of the stream gorge on our way to cook at the camp. 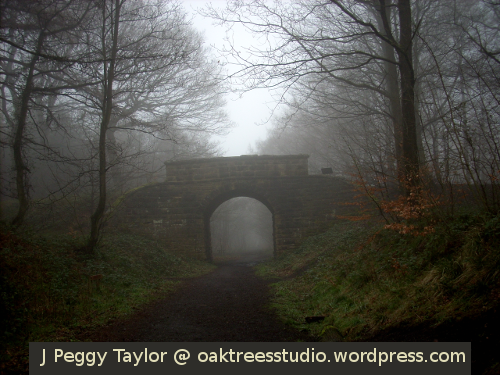 Wherever we may roam, we always return home, and quite often the walk home is along the old railway in our local woods. 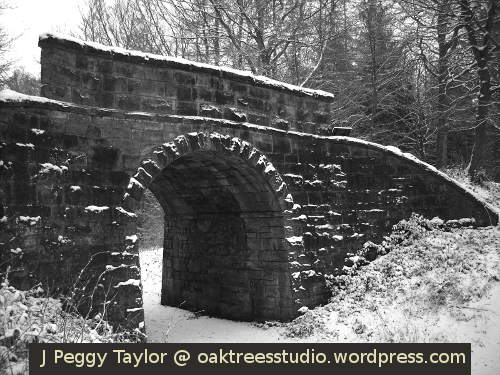 Just like our favourite beechwood path that we saw at the beginning of this post, we have walked the old railway in every type of weather – sun, rain, fog, frost, ice and snow. We knew all its muddy puddles. We sometimes even sledged along it on the way home from school, years ago when the boys were young. Do take a look at the walks others have shared for Cee’s Fun Foto Challenge this week. Let’s find out ‘What I’m going to be when I grow up’! 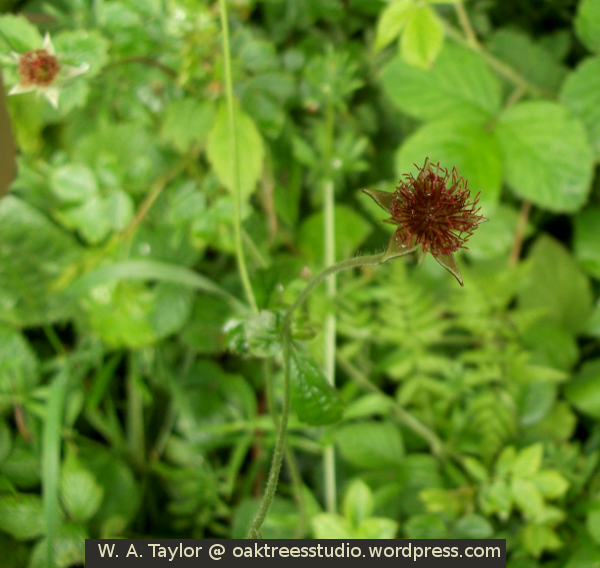 The plant quiz answers. 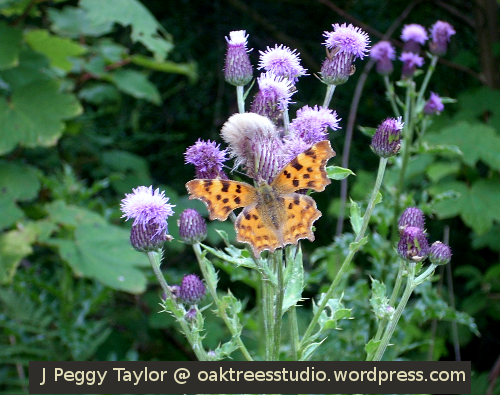 Last Monday I posed a little plant quiz here on Oak Trees Studio … the plants were mainly flowering woodland plants that had not yet quite flowered. A few of my keen-eyed readers have had some fun puzzling over the photos and trying to work out “What I’m going to be when I grow up”. Everyone correctly identified some of them and came close on others. 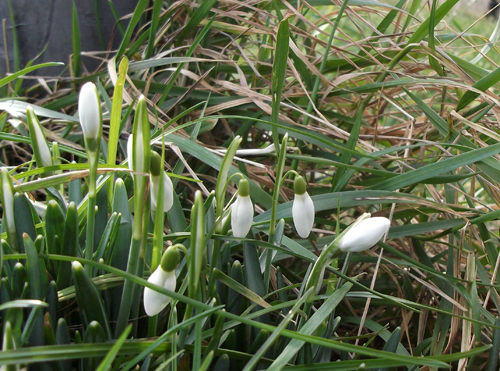 Here are the plants in their more usual flowering glory, complete with their names. 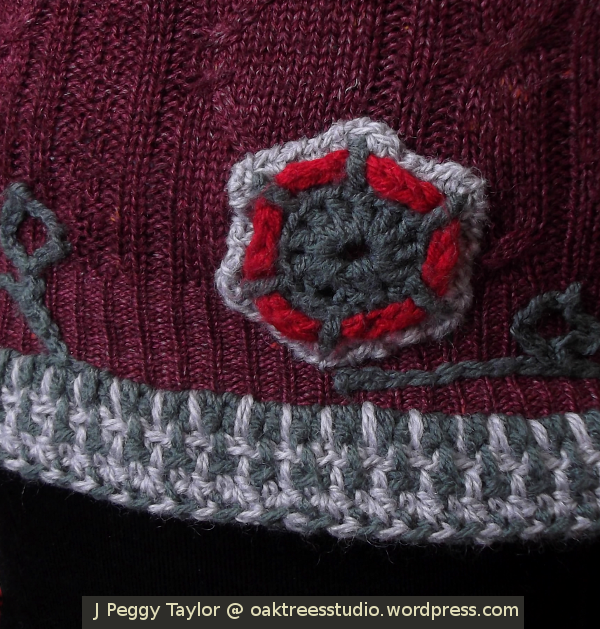 This one was definitely going to be a member of the thistle family, but which one? 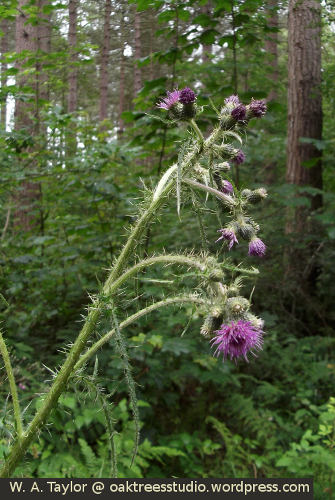 We see lots of these tall and rather slender thistles growing in our damp woodlands. The best clue I could find was its muddy habitat – this one likes its feet wet. I love its Latin name! I always think it should be a Roald Dahl character. 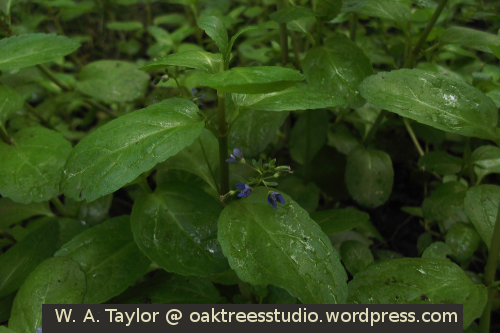 We find lots of Brooklime growing on one of our favourite woodland paths – we call it “the muddy path”! 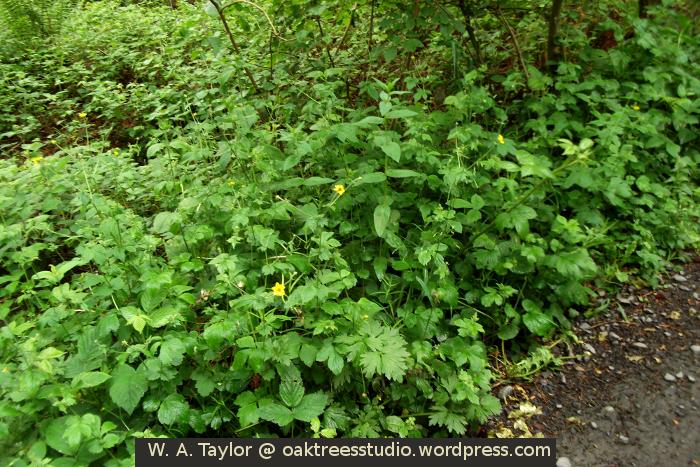 This strong-growing umbellifer with its large hairy leaves grows ubiquitously in our area, along roadsides and woodland rides. 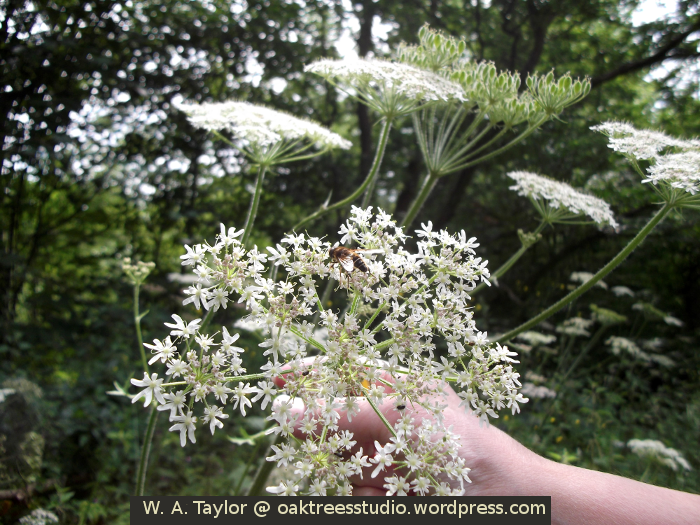 Perhaps it is not quite so common in other parts of the country, though it evidently reminded some people of other members of the umbellifer family. 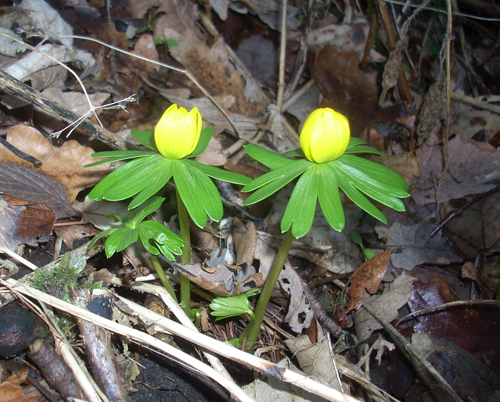 This delicate woodland flower is almost bursting into flower in our woodlands now. 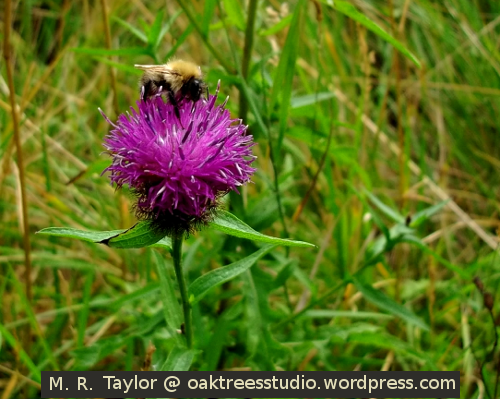 It is a plant with two common names – it probably depends where you live as to which name you know it by. 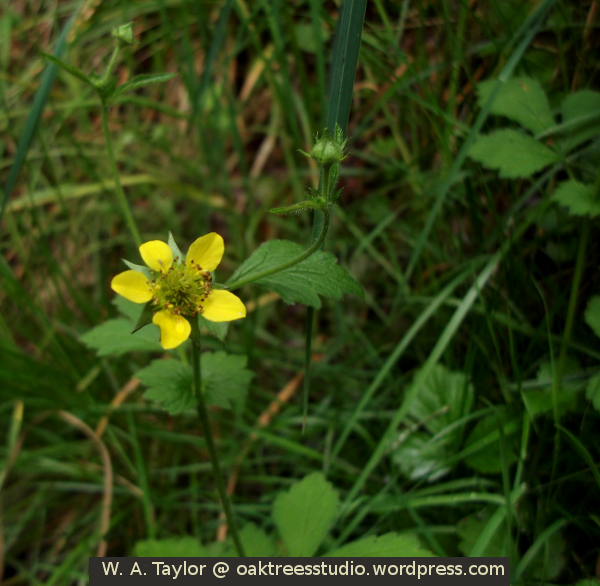 One quiz entrant named it as Wood Avens and that’s its main name in my wildflower ID book so there we are. 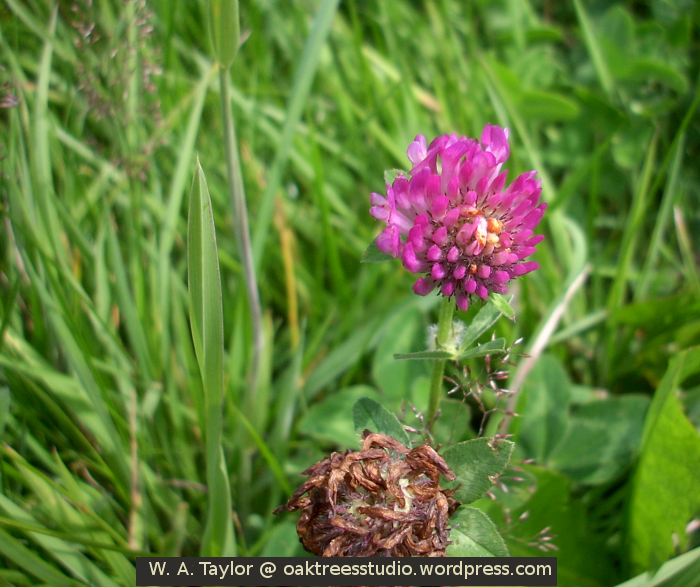 It’s delicate bright yellow 5-petalled flowers don’t last long and soon turn into hooked reddish seedheads. This was the easy one that everyone spotted. 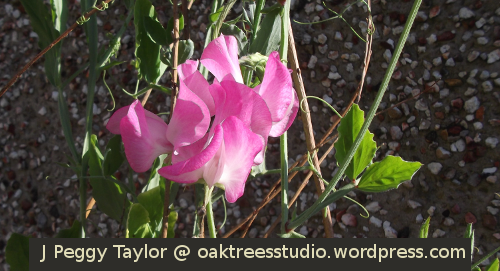 The trifoliate leaves and those fluffy pinkish buds were a give-away, weren’t they? 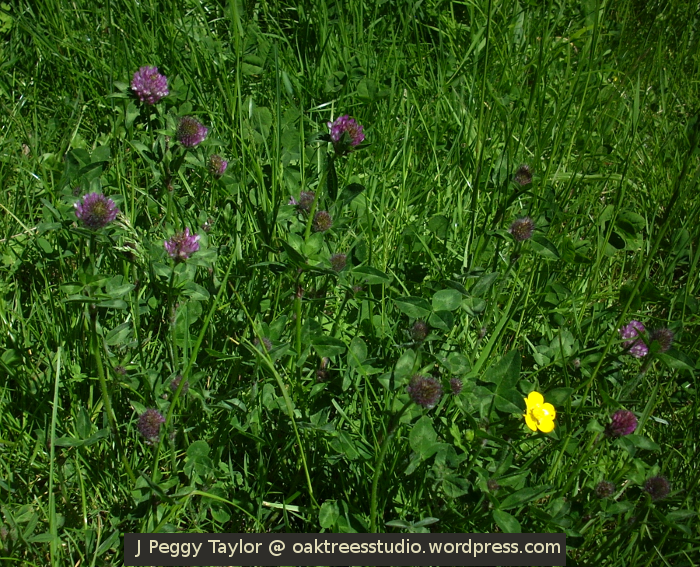 … and here’s a closer view of this Summer meadow stalwart. 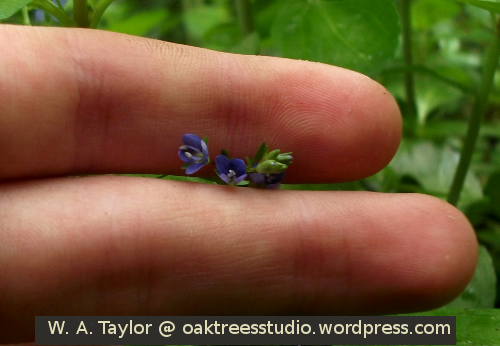 This flower has those small and shiny, spoon-shaped leaves with serrated edges on quite solid, straight stems. 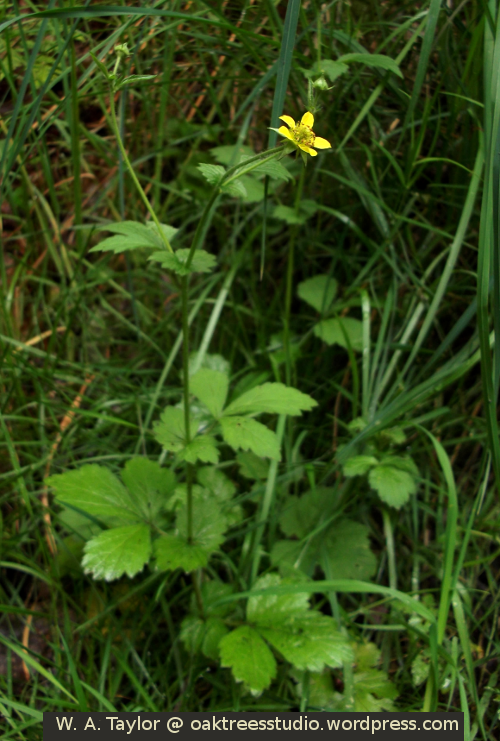 Its flowers form as dimpled buttons then burst open with sunny radiance in late Spring and early Summer. 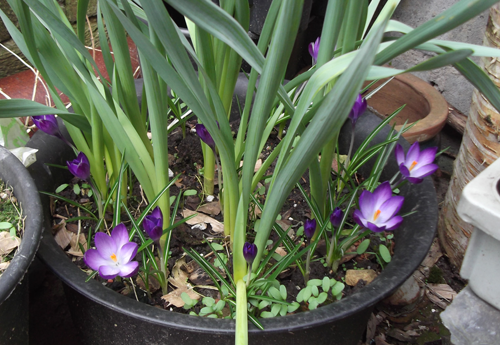 Many people will have a version of this flower growing in their gardens. 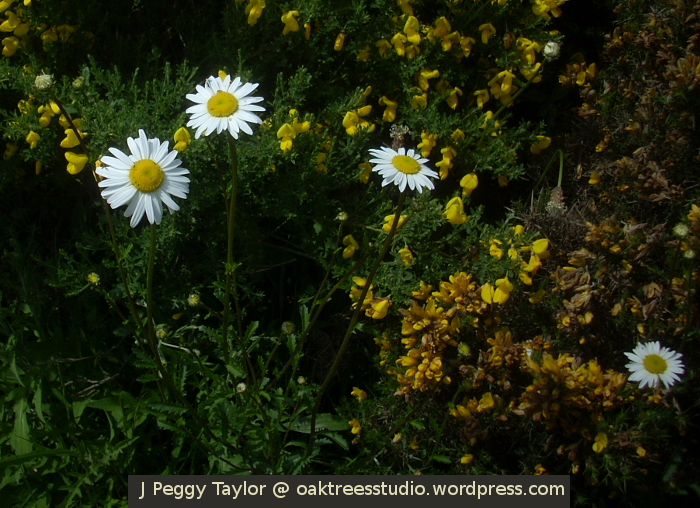 We find Oxeye Daisies growing along some of our old railway paths but they are equally at home along our woodland rides too. I love their sunny flowers. 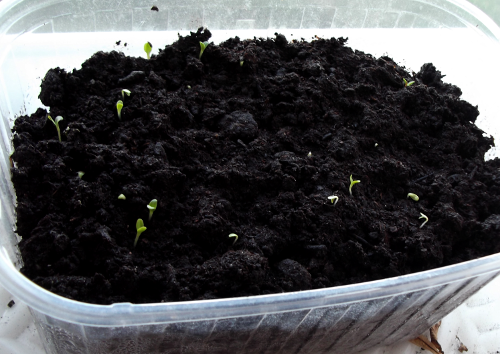 … and finally – what was that mystery seedling? 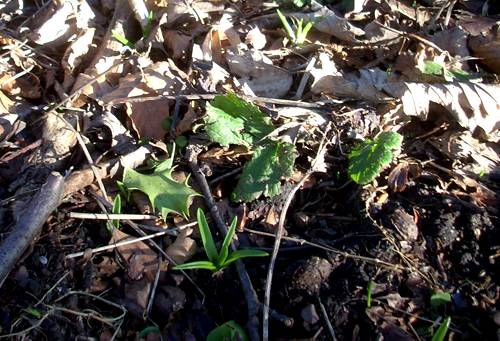 At this time of year, the large seed leaves of these tiny seedlings are just beginning to be overshadowed by the first true leaves of this popular forest friend. The woodland floor is dotted with these curious seedlings as they form a mini-forest of their own among the feet of their super-sized parents. 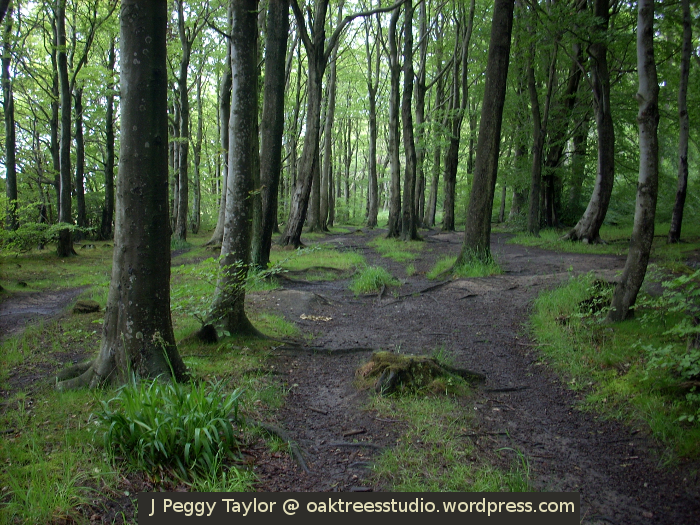 … and here are our beechwoods in their cool luxurious Summer greens. 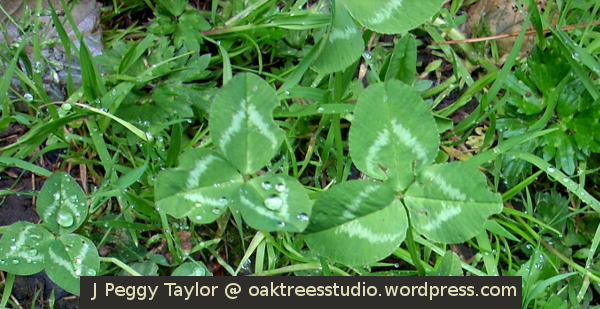 At the end of last week’s quiz post I mentioned how the Beech seedling’s over-sized seed leaves reminded me of an umbrella and how the leaves of the parent tree can make a useful umbrella when caught in a sharp Summer downpour. 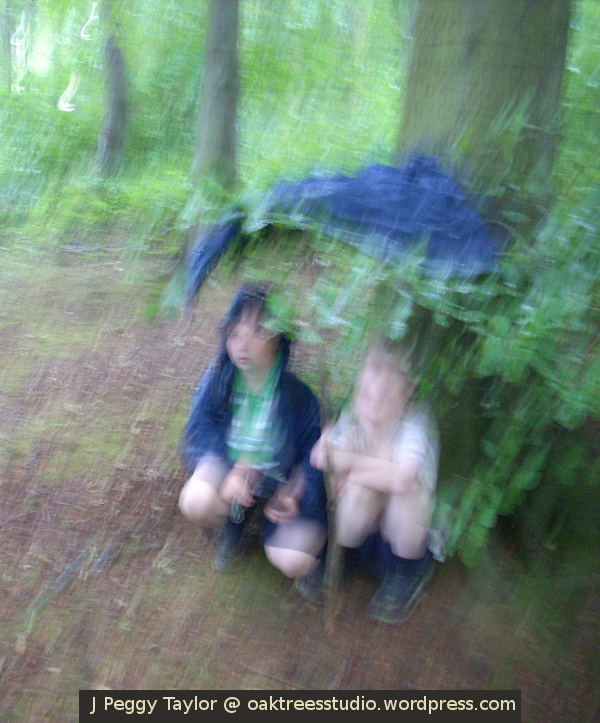 Here are our younger boys in their Beech tree ‘rain shelter’ when we were caught out in one such Summer rain storm a few years ago. Wood is one of my favourite natural materials and it can always surprise us with its beauty. 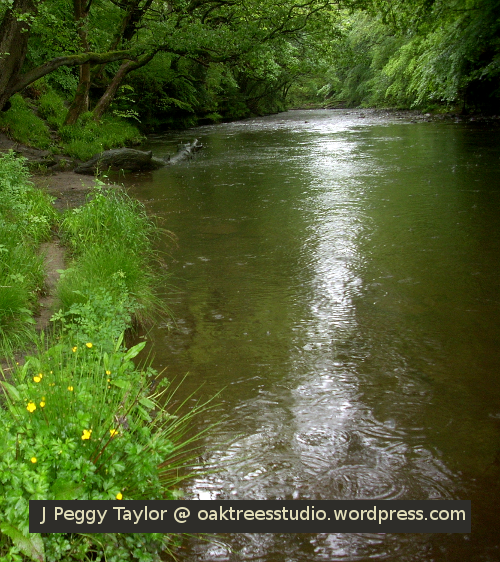 From seedling trees to decaying logs, for me wood provides a metaphor for the cycle of life. For Cee’s Fun Foto Challenge this week, we are looking for weathered wood. Weathered wood is often a visual feast as it develops its own individual natural character with unique grain patterns, shapes and textures. 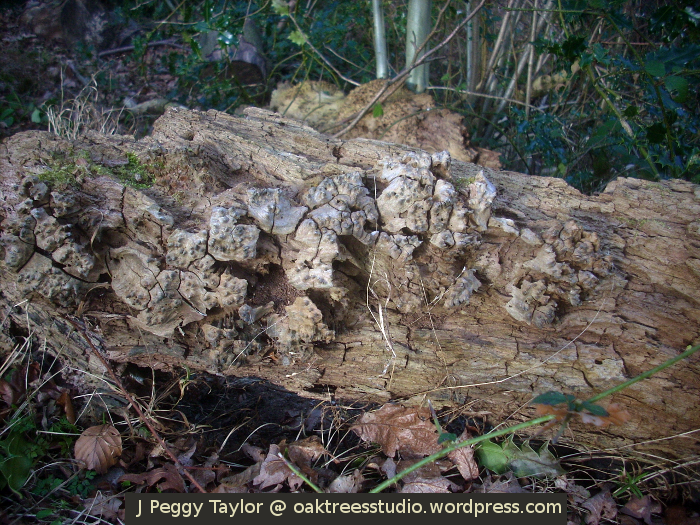 When we walk in our local woodlands we see many tree stumps, fallen trees or logs where the forces of nature and time have left their mark. Along some of our regular paths we have observed the effects of these natural processes on particular stumps and logs over several years. With the gradual effects of decay and weathering, some of our old log ‘seats’ have cracked open to reveal their woody chambers within. 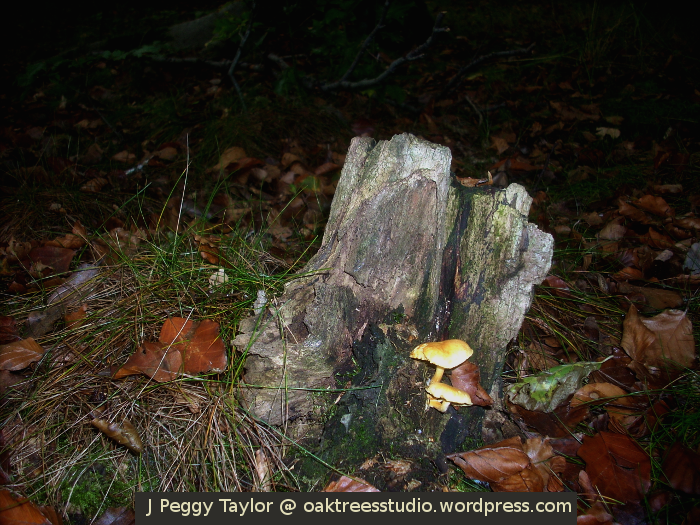 On damp days in early Autumn colourful fungi will sprout from the weathered wood of old tree stumps and logs. The Sulphur Tuft fungus Hyphaloma fasciculare is one of the more common and easily recognisable species that grow on old wood from deciduous trees. 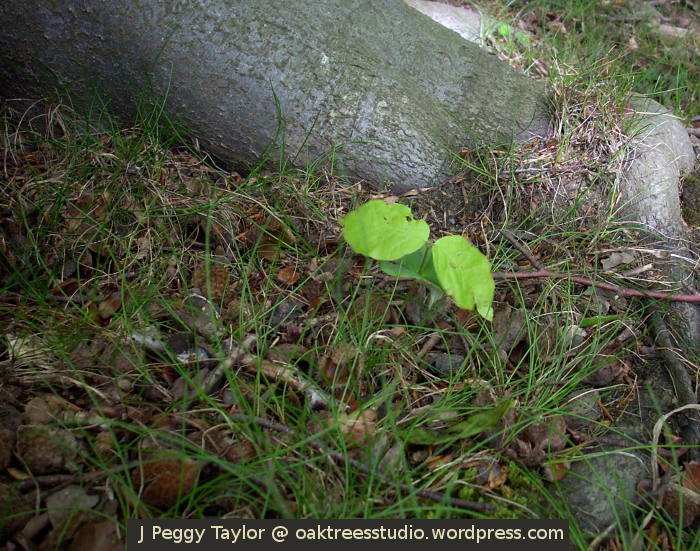 Here it is growing on a small Beech stump in one of our favourite beechwoods. We find beechwoods tend to be quite rich in fungi. This dead tree on the woodland edge was felled by the wind last Spring and now it has developed its own little niche under the holly hedge. 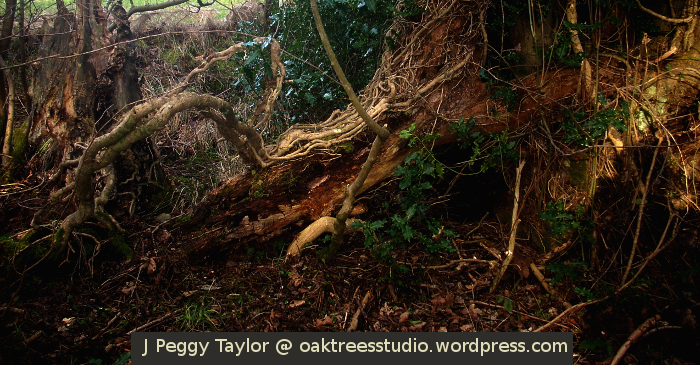 The thick grey vines of ivy continue to thrive on the weathered wood of the fallen trunk. On this particular day the late Winter sun was streaming through the trees and lighting up this normally unremarkable spot on the forest floor. I thought it looked quite beautiful and a little magical. You could almost expect The Little Grey Men to suddenly appear from under the fallen tree. This old tree trunk sits on a steep bankside in a small stretch of ancient woodland within one of our local woods. 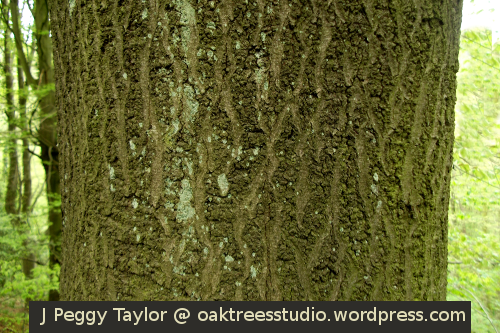 I love the shapes and patterns that have developed in this old wood and the contrast between rough and smooth. In Autumn this is another old tree trunk that we have previously seen covered in fungi – not the Sulphur Tuft as I showed you earlier, but hundreds of smooth, white Stump Puffballs Lycoperdon pyriforme . Weathered wood is such a fascinating material. 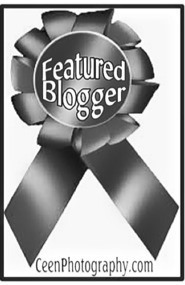 Do take a look at the weathered wood others have found for Cee’s Fun Foto Challenge this week.